Above Photo:Vin Diesel gets a close up with SOC Mobile Camera Platform Operator Lifetime Achievement Award winner Mike Moad, setting the shot on the MovieBird camera crane. Photo by Mary Cybulski. Based on the novel by Ben Fountain, Billy Lynn’s Long Halftime Walk is a story about 19-year-old private Billy Lynn (Joe Alwyn), along with his fellow soldiers in Bravo Squad, becomes a hero after a harrowing Iraq battle and is brought home temporarily for a victory tour. 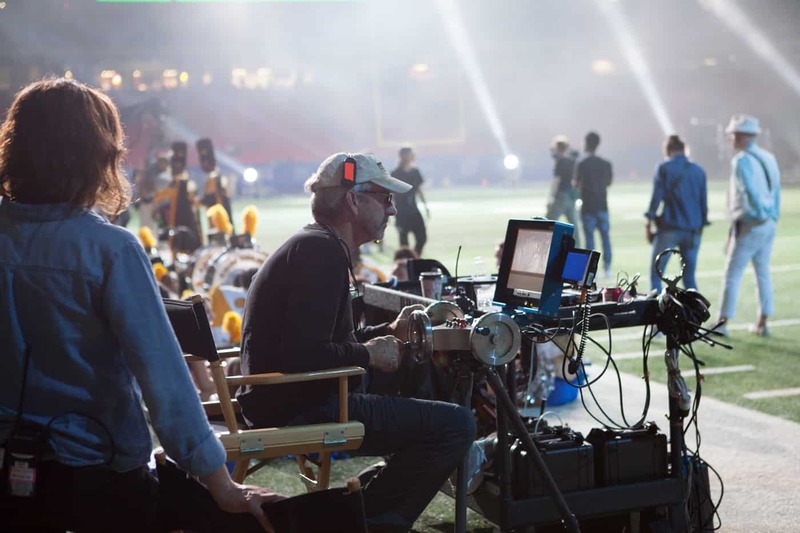 Director, Ang Lee uses groundbreaking 120fps technology to adapt the story through flashbacks, culminating at the spectacular halftime show of the Thanksgiving Day football game. What really happened to the squad is revealed through the story, contrasting the realities of the war with America’s perceptions. When I received a call from director of photography, John Toll asking if I could work on his next project with director, Ang Lee I couldn’t have been more honored. John and I had worked on several projects together in the past but this was going to be a very different project than either of us had ever attempted. It proved to be different than anyone had ever attempted. Ang was as usual, pushing the limits of new technology, and craftsmanship to deliver a film in native 3D, filmed in 4k at 120fps. How challenging to start a project that currently has no venue available to project the film in its conceived format, and has yet to develop the print down version to show on conventional 24fps screens in both standard and 3D versions. Ang employed the talent and knowledge of production systems supervisor, Ben Gervaise to help him conceive and execute the both the nuts and bolts part of this challenge, the 3D rigs and data capture, Ben also had to explore how we could do a printed down version from 120fps that would visually be acceptable without the normal artifacts and strobe that would occur from just skip printing every fifth frame. Putting the release challenges aside for the time being, we began the production with A camera assistants, Chris Toll and Sal Alvarez prepping two 3D rigs employing Sony F65s with matched sets of Master Prime lenses and B camera assistants, Clyde Bryan and Jamie Pair prepping a second rig. Ang Lee giving Kim direction as he operates the remote head. Jason Sutton did an amazing job teaching this highly modified Libra head. Photo by Mary Cybulski. 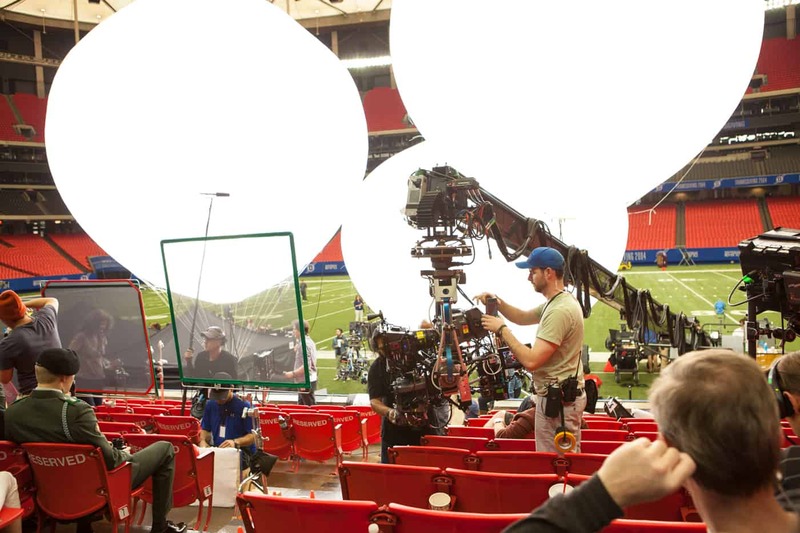 The main part of the movie was shot in Atlanta with the “Halftime Show” sequence shot in the Atlanta Dome. Unfortunately, we had to shoot this part of the show at night because the dome is translucent, and the quality and color of the light would vary throughout the day. John Toll and his gaffer, Jarred Waldron were challenged with lighting an entire stadium interior with an exposure index of ASA 160. (The F-65 has a native exposure index of 800 but with a 2-1/4 stop loss for 120fps and 1-stop loss for the 3D mirror system we arrive at E.I. 80. We ran electronic shutters at 360 which brought us back to ASA 160. Indy Saini, our D.I.T., was an invaluable asset to John during the film helping to make sure he was on track to deliver the best quality image possible given the reduced E.I. we had with frame rate and 3D requirements. 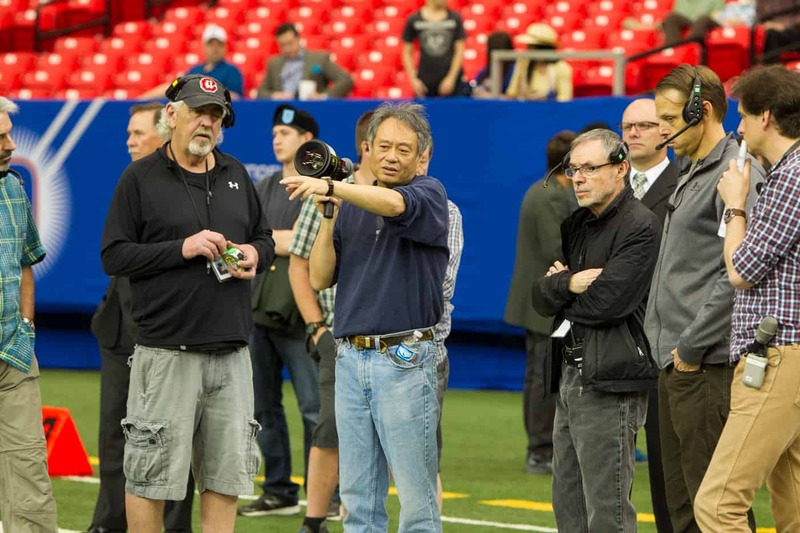 Ang Lee describes the shot to John Toll, Chris Toll, and Mike Moad. Photo by Mary Cybulski. John Toll needed massive depth of field on shots where Ang requested the entire row of actors be in sharp focus. Jarod Waldron used these balloons to provide the light needed to get the shot. Photo by Mary Cybulski. Fortunately, John had put together a team of seasoned veterans. Al La Verde, our key grip, brought in Mike Moad, his “A” camera dolly/crane grip. Mike is a pro and he and John have a great relationship with mutual trust that reduces any fear of failure. We did many shots on the 50,’ 30’ and Moviebird cranes and Mike did a stellar job of always getting the camera in the right spot and hitting exact marks so Chris Toll, on focus, had a better chance of keeping shots sharp. At an E.I. of 160 we were usually not working with an excessively large stops and if Ang requested big depth of field as he sometimes did, they always involved gut wrenching splits that had to “float” with the dialogue. Mounting the 3D rig on these cranes and delivering a stable image fell to Jason Sutton from Procam. Jason did amazing engineering job on the Libra head to enable it to take the massive f-35 bodies and mirror boxes we used. 90% of the film was shot on this head and it never let us down. On the 3D side of things, I have to give credit to production systems supervisor, Ben Gervais and stereographer, Demetri Portelli for their constant attention to the 3D/high frame issues. Since I was operating off of only one “eye” (one camera body), Demetri was always helpful in advising me on how to best maximize the 3D effect without irritating the viewer! 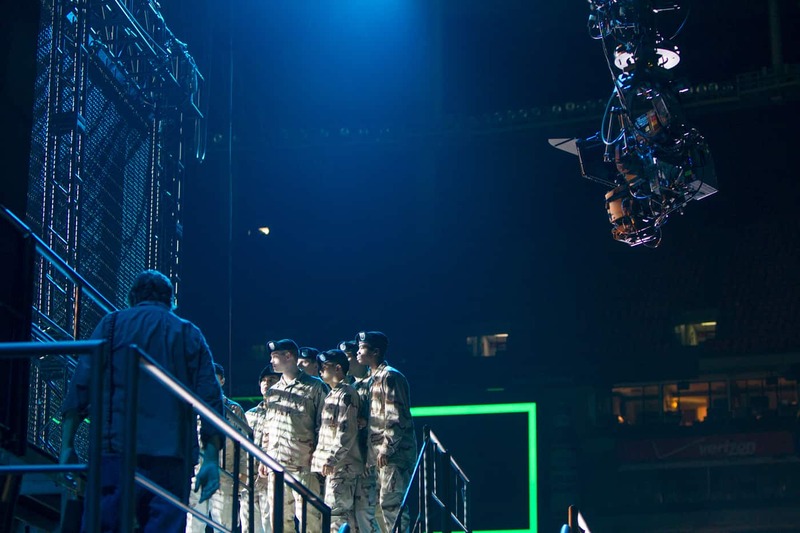 One of our most challenging shots was during the halftime show where Ang wanted us to start on a tight close-up on Billy Lynn and do a full speed retraction on the 50’ Technocrane to a wide shot of the performance stage with the background. This required using a rather wide angle lens to achieve the full shot of the stage. The issue with that being Billy’s head was pretty much inside the mirror box for the close-up section of the shot. I’m still not really sure how we got an exposure on him without any camera shadows! 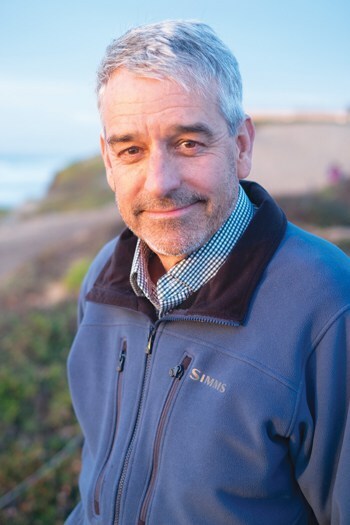 I remember as Ang handed the finder back to John Toll after showing us the close up he laughed in his endearing manner and said, “Not sure how you are going to light him…” John didn’t flinch, or try and change Ang’s shot…he just got to work. Impressive was the term that came to mind. Ang wanted to shoot inside a stretch limo for on the road running shots. One of his requirements for the camera was it always had to be at Billy Lynn’s eye height. I mean exactly his eye height. Our grip crew, under the guidance of Al Laverde, along with Joe Macaluso, and best boy and rigging grip, Kent Baker, had to install the 3D camera rig inside the limo in various locations where I could operate off a massive O’Conner head, and Chris could hide somewhere to pull focus. We couldn’t cut up the car or shoot from outside a window or door as you might with poor man’s process or green screen. This also proved to be a difficult lighting job as John and Jarred had to balance the inside to the outside of the car with strategically placed light panels that weren’t either in the shot or reflected in any of the windows in the car. These weren’t lock off either, Ang wanted to pan between the dialogue as if the camera were Billy’s POV! I still wake up in a cold sweat thinking about these shots! Another challenge for the camera dept was figuring out how we would pull off a shot of Billy’s POV walking through a small home. Steadicam was of course the obvious solution but at 125 pounds the trick was to find someone to step up to the plate and figure out how it could be done. Greg Smith and his “B” camera team of Clyde Bryan and 2nd asst Jamie Pair took on the challenge. Working with the 3D tech team they managed to mount the two-camera rig on Greg’s sled, and with John Toll’s wise insistence, they got the rehearsal time they needed, and Greg and his team executed a perfect shot. 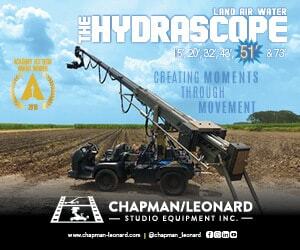 The MovieBird camera crane was indispensable in achieving the long seamless shots Ang requested. Photo by Mary Cybulski. 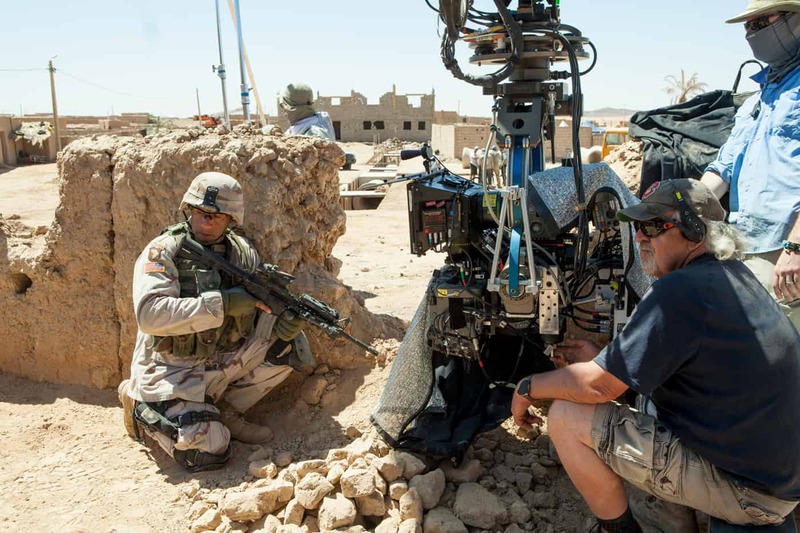 Perhaps the most challenging shot we had was in Morocco where we filmed the battle scene. We had planned on doing a shot that was directly behind Billy running down a slope to save the life of the character played by Vin Diesel. It was about a 200-foot run starting behind a mud wall. The camera had to be as close to the actor as possible and safety was everyone’s concern. The plan was to use the Grip Trix and the 14’ Movie Bird that had performed perfectly in Atlanta at the Dome. Unfortunately, the terrain in Morocco proved to be a challenge for the Grip Trix and we needed to come up with a new plan. 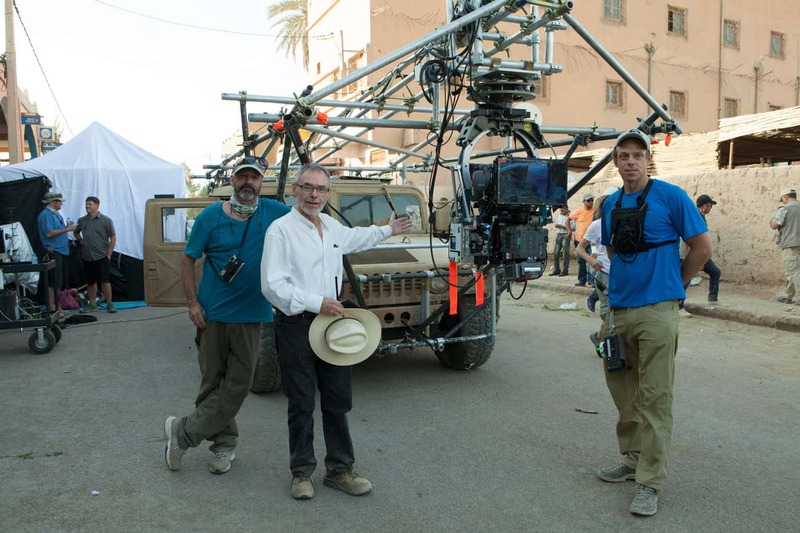 Mike Moad and the grip team came up with the idea to mount the Movie Bird on a flatbed we sourced locally in Morocco. With Mike Moad on the arm, Mike Howell as wheel man we managed to pull off the shot. Not having an insert car in Morocco Al Laverde had his men build us one out of a Humvee. Left to right: Kim Marks, John Toll, and Chris Toll. Photo by Mary Cybulski. Working with Joe Alwyn on his first movie was amazing. Some actors just get it. He was prepared, focused and was able to take direction from Ang like he had been in front of the camera for years. Joe picked up the whole technical part of acting very quickly. Matching action, hitting marks, eyeline control, Ang was very specific as to where, inside the mirror box, actors should look. This film breaks the rules of never looking directly into the lens, many times! Kristen Stewart, Garrett Hedlund, Steve Martin and all Billy’s squad all contributed to making this film have the “being there” look that Ang wanted. That’s not easy at 120fps in 3D. Ang Lee was very specific regarding eye line. Many were paced inside the mirror box to give the audience a close connection to the actor. Photo by Mary Cybulski. From our testing in October of 2014, we determined the stereotec system to be the most mechanically rigid of the available 3D rigs, as well as able to carry F65’s in a compact package. Sony F65s, always running at 120fps, 4k, with a 360 degree shutter. We carried five bodies and between one and three spare bodies and recorders depending on the location (three for Morocco). On-Set DIT (Indy) had livegrade software and remote iris control to Flanders OLED monitors. On-set Video Assist used q-take and LG HD OLED monitors running at 60 fps. As with our other films, we had a custom-built fiber-optic system so that there were generally only two cables going to the 3D rig — one for power, and one for every other signal. This speeds setups for the cameras and allows us to not be limited by cable length, which would otherwise require the video village to move more often, slowing things down. This was the first time we’ve successfully run entirely wireless 3D systems with the limo/Humvee and a chase vehicle, and it worked out very successfully. Head was an O’Connor Commander 50-200 and Libra heads. We built our own lab, complete with render farm, tape backup facilities, 21 seat dailies theatre with 20-foot-wide screen, and a Christie 60 fps 3D projector. The motivation for shooting HFR was really to address the judder issue in 24fps 3D. At a low frame-rate, judder is a problem which, while we have grown used to it in 2D, is much more manifest with 3D, as well with brighter screens. This forces you into a trade-off situation, you can reduce judder by keeping the shutter open longer, but it means that you then loose detail to motion blur. The frame rate forces you to make this compromise constantly, so the better solution would be to shoot and project a higher frame-rate that exceeds what we call the ‘critical flicker fusion frequency’ which generally sits for most viewers somewhere in the 60-90fps range (under some circumstances it can be as high as 800!). Since it was impractical to watch or process dailies at 120/4k (plus the Avid only works up to 60fps for editorial) we decided that instead of just throwing away every other frame for dailies, we had to combine, or blend, source frames into the 60fps dailies. Ang’s instructions to me were to find 60+, essentially the best version of 60fps, striking an optimal balance between judder mitigation and high frequency detail (i.e. how well can you see an expression on a moving face that is not being tracked by the camera). We settled on a great software package that is now owned by Real-D, called True-Motion. It was written by Tony Davis, and he worked closely with us to find optimal synthetic shutters. His software works not only by averaging frames to get a lower rate, but averaging them using weights that correspond to wave functions. These wave functions are designed to optimize temporal resolution (MTF in time, as opposed to the regular/spatial MTF you might measure for a lens for example), and compensate or eliminate as much judder as possible. For the first, almost half, of dailies, we used a shutter he calls “Magnesium,” which struck a good balance, but as you noticed in dailies, it gave us some undesirable leading-edge motion blur that was unacceptable. So Tony went back to the drawing board and created a shutter he calls ‘Carbon’ which is what we settled on for dailies, and eventually for most of the scenes in the final 60fps and 24fps versions of the film. This shutter preserves leading edge high frequency detail, while smoothing out trailing edge judder for an optimal balance in most situations. These custom shutters give a smoother, more pleasing effect than the classical camera square shutter (shutter either open or closed, nothing in-between) and helps us to make a better, more enjoyable and intimate viewing experience than if watching footage shot at that rate. Additionally, the averaging of frames actually gives us a lower amount of picture noise than if you had shot at that rate (even accounting for the ASA bump to compensate for exposure.) Put another way, our material shot at say 120fps, 1280 ASA, then frame-blended down to 24fps actually has less noise than 24fps material shot with an ASA of 250. Pretty remarkable in and of itself. Having this tool allows us to select the perfect amount of motion blur for the shot (or even just part of the frame) in DI/post, giving us a whole new pallet of creative options that we never had before, or that would have required a motion control rig, repeatable actors, and a lot of VFX money otherwise. We had many theatres offering Billy Lynn in different formats, for wide release, most audiences will be able to choose between 120fps, 2k, 2D, and 60fps, 2k, 3D. Some theatres offered 60fps, 2k, 2D. AMC Prime locations equipped with Dolby Vision will offer the film in HDR, with some screens showing 120fps, 2K, 3D HDR, with others showing 120fps, 2k, 2D HDR. Finally, as a special event, there will be a few theatres around the world offering 120fps, 4K, 3D in a high-brightness 28 fl (foot Lamberts) presentation, including the premiere at the New York Film Festival that took place on October 14, 2016. Instead of just re-using the grade and frame-blending for each version of the film, we spent many weeks doing separate DI passes, manipulating color, contrast, resolution, and using custom frame blends to make each resolution, frame rate, format (3D/2D), and brightness of theatre optimized for those screens, delivering the very best possible experience and emotional connection to the story regardless of the technology used. Most shooting was done with an ASA of 800, but with many at 1280, and even a few at 1600. An average data load of 7.5 Terabytes of raw footage per day, (100 minutes in 3D @ 120fps) Our largest day was 17.5 TB. In 1982, after starting out my career in Utah making low-budget films, I was given the opportunity to work at Industrial Light and Magic on the feature film Poltergeist. This began a 25-year career that jumped between live action and visual effects. Working with amazing mentors such as; Dennis Muren, Richard Edlund, Ken Ralston , Eric Brevig, Phil Tippett, and many more in the effects world taught me to analyze what we see in a frame and how we could manipulate it to trick the audience into seeing something that isn’t really happening. Before computer graphics made “anything possible” we had to use the old stick and string methods and it was on film! I was also lucky enough to work with great cameramen such as; Robert Elswit, Caleb Deshanel, John Toll, Peter Demming. They taught me about storytelling, camera placement, lighting and so much more that has helped me round out my career. The dolly grips, key grips, and gaffers that I have worked with all shared their knowledge. I feel very lucky to have spent many wonderful years making movies, and have made so many dear friends. Thank you all! The first film to be shot using a 120 frame rate. 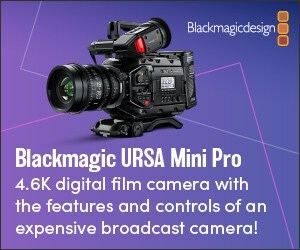 The idea of shooting in 120fps along with native 4k rendering and mastering, came from an experimental film shot by Douglas Trumbull (of 2001: A Space Odyssey fame). 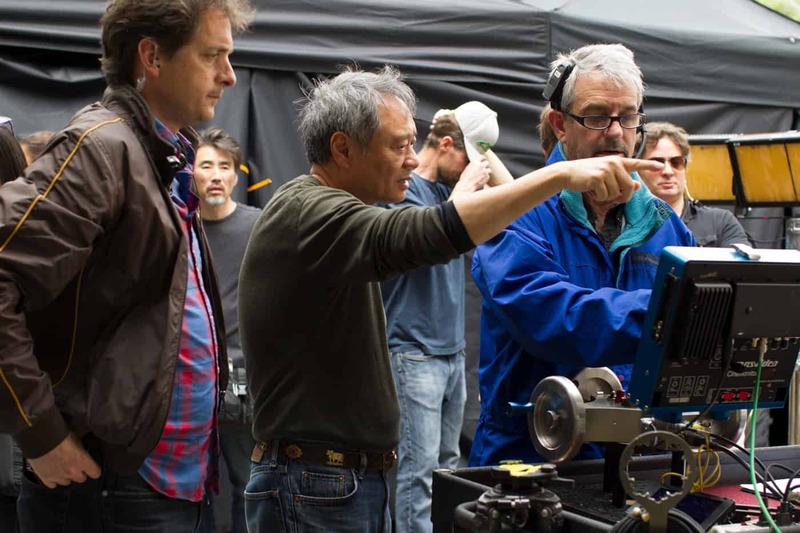 Trumbull showcased his work to Ang Lee, whom came back to Trumbull’s private theatre for repeat viewings including his family and eventually Sony executives, who put the film into production. Chris Tucker’s first feature film in 4 years.